The tech department undoubtedly transformed this year. A cascade of staff departures, reassignments, and promotions spurred the most substantial team reorganization in our history. At the start of the year, we welcomed Lisa Lewis as the Manor Middle Technology Aide. In March, Chad Billman, our long-time Systems Engineer, was promoted to Assistant Technology Director. Nick Joniec became the district System Administrator in the spring. And in the summer, Judy Keller was promoted to Training Specialist for elementary schools. With two positions still open in August, our small crew braced for a rough start to the new school year. But the team rallied. Nick Joniec, Nate Moss, and Jason Sauders deserve special recognition for their attitude, energy, and relentlessness. The trio worked colossal tech support miracles in spite of being overextended for three months. By October, we welcomed Program Assistant, Gretchen Woodward, and Support Specialist, Caitlin Gibson. As the first autumn leaves settled more than half of our technology staff found themselves in a new position, a different building assignment, or with new areas of responsibility! A laptop refresh and Windows 10 upgrade for more than 200 elementary and middle school teachers. Extensive platform and software upgrades to our food service, payroll, fund accounting, purchasing, and transportation enterprise applications. A major messaging migration from Exchange to Gmail for all staff email accounts. Alex Lagunas was recognized as Penn Manor employee of the year. Congratulations, Alex! Classroom AV and network cabling renovations at Martic Elementary and Marticville Middle School. A lightning fast rebuild of Conestoga Elementary’s classroom technology infrastructure after building construction completed in August. The paperless student records scanning project accelerated–full digital student records for more than 50% of our students are now available in our student management system. Thanks, Sue Smith! On top of the infrastructure projects, we launched a one-to-one student laptop pilot in 11 elementary classrooms. 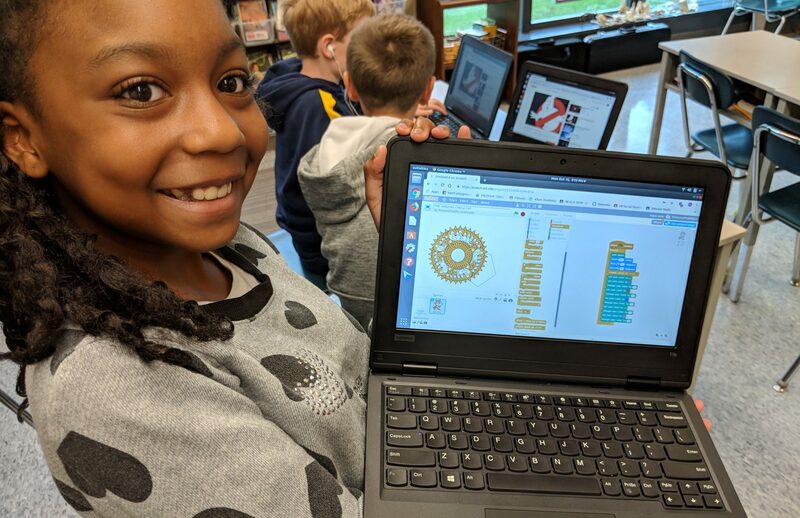 In August, 275 fifth and sixth-grade students at Central Manor, Eshleman, Hambright, and Martic Elementary received the same powerful, open source learning tools used in middle and high school. The laptop pilot made an immediate impact on teaching and learning. And lessons learned serve as a guidebook for a possible expansion of the program to additional elementary classrooms at a later date.